This Yuletide season, the whole world and the nation is one in lending a helping hand to the victims of the recent calamities in the Eastern Visayas. Typhoon Yolanda has left the country with high death toll rates and devastated lands, but the Filipino spirit of resilience and optimism remains to be untarnished. 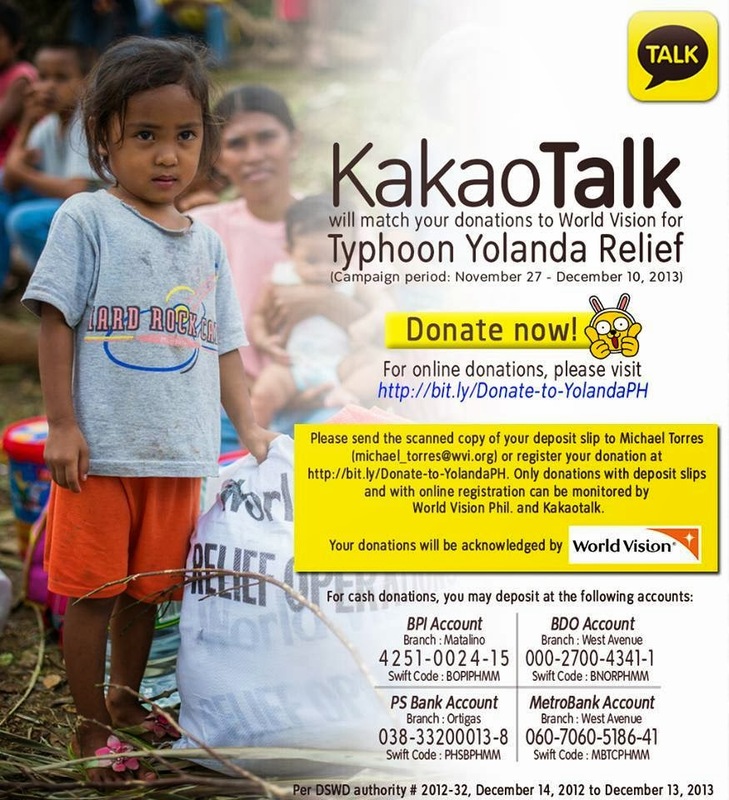 KakaoTalk Philippines, in cooperation with World Vision Philippines, an international humanitarian aid, development and advocacy organization, initiated a relief effort campaign to help aid typhoon Yolanda survivors. 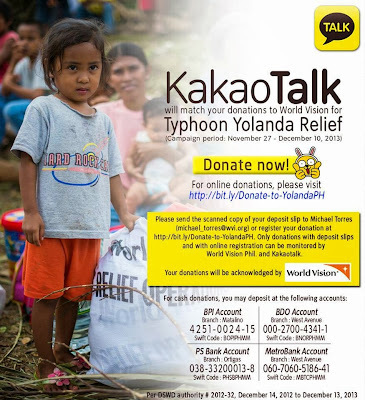 KakaoTalk will be matching user donations made through World Vision from November 27 to December 10, 2013. 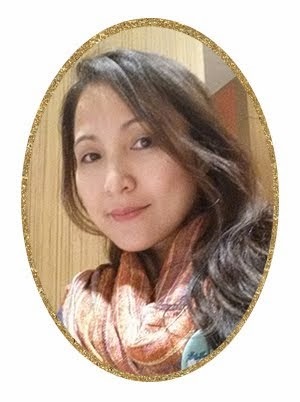 “Christmas is just around the corner, and we want everybody to feel the true spirit of Christmas - which is giving and receiving,” said Jean Lee, KakaoTalk Country Manager. “With everyone’s help we aim to make them feel loved and comforted despite of all these disastrous events,” adds Lee. For cash donations, donors may deposit to the following accounts: BPI Matalino 4251-002415, BDO West Avenue 000-2700-4341-1, PSBank Ortigas 038-33200013-8 and MetroBank West Avenue 060-7060-5186-41. Register the donation online or send the scanned copy of the deposit slip to Michael Torres (michael_torres@wvi.org). Only donations with deposit slips and with online registration can be monitored by World Vision Philippines and KakaoTalk.